Breathless is the second book in the trilogy and I have been looking forward to this one ever since I picked up book one. I finally got my hands on it, and I will admit I had some pretty high expectations for this book, and I was left feeling a bit disappointed. It wasn’t what I was expecting, especially when I loved Forbidden, the first book. Breathless is a story that features two people who knew each other when they were younger but life got in the way and they each had their own journey to take until they met each other again as full-fledged adults, much more mature and ready for what was to come for them. Portia Carmichael was abandoned by her mother who prositituted herself for money. She and her sister found a good life with their aunt and uncle. Kent Randolph has spent his life searching, and being a bit of a rake of the wild west. Now he has returned to the one place he felt like was his home and to his “duchess”. Portia is very serious about building her own business and working for her aunt and uncle. She has no interest in love or dating. She is content working with her numbers. But then Kent comes back, and she is having to face with her old feelings for this handsome man that she wants to feel nothing for but does. I did enjoy the beginning of the story, seeing these two banter like two old hens, their interactions were pretty funny and I just couldn’t get enough. We see the good life that Portia and Regan (her sister) have found with their uncle and aunt Eddy and Rhine (couple from first book). We see the closeness that Portia has with her sister. But wow these two couldn’t be more different from each other. Portia is consumed by the seriousness of life, and Regan just wants to live life to its fullest. She wants to experience everything, most especially passion and love. So it was interesting to see Portia figure out what she really wants in life, and that there is more to life than just building a career. Seeing some true depths of self discovery, and learning to experience desire and the building of a intimate relationship was the highligh of the story for me. However I did have some issues. Quite honestly, I think I might have had too high expectations for this book. I don’t think I have been so let down by a book by Jenkins. I have always enjoyed her work. ALWAYS. I know I am not in the “popular” opinion here however the middle of the plot felt flat for me. I had a hard time connecting with the actual romance. It took almost a whole week for me to read this. Now for some that may not seem like a long time, but I read a book a day. So I really struggled with this story. The first and latter portions of the story were really great, but the middle I took forever getting through. 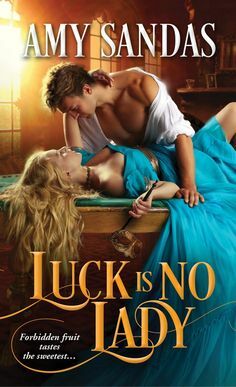 I am however super excited to read book three though, Regan’s story which features her being a mail order bride (yep yep super super stoked for this one, since that is one of my all time favorite tropes in romance). Have you read Beverly Jenkins before? What do you think of her writing? Do you love diverse romances too?